Like Luke Skywalker on Hoth, when you are running hard on your machine in the snow, quality gear can make all the difference between success and misery. It gets tough out there. You require a lot. Finding pants as dedicated as you are is no small task. 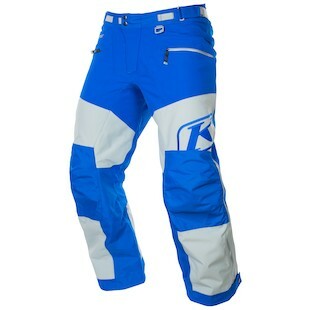 With the new Klim Powerxross Pants in the mix, you can now be appeased for your snowmobiling adventures. Bringing together Gore-Tex Three Layer Performance Shell technology with an aggressive articulated pattern and 330D Cordura overlays, these pants offer the highest quality experience for your time on the sled. With the goal of maximizing mobility while enduring extreme weather, features such as the exclusive seat dry technology and internal comfort liner do wonders to keep your focus on the trail ahead. At the same time, they do not skimp on the protection, as they have included removable knee/shin pads and a kill switch D-ring. The truth of the matter is that you never know what you will encounter out there when you head into the great winter unknown. With any luck it will not be a Wampa (that thing still gives me a fright), but on the off chance that it is, you can be sure to reach into one of Powerxross’ two external hand pockets for your Light Saber and do work on that snowbeast!